Back row: Head Coach Pat Edwards, Brenda Allen, Teresa Garber, Cathy Applegate, Chris Austin, Pam Hardy, Assistant Coach: Tom LaFrance. 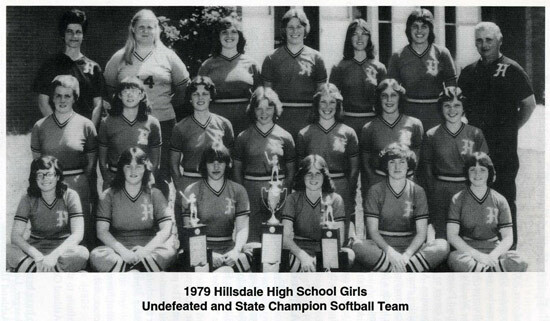 Middle row: Linda Bernard, Val Denning, Sondra Applegate, Kim Garn, Kim Kahl, Susie Hardy, Tonya McKinley. 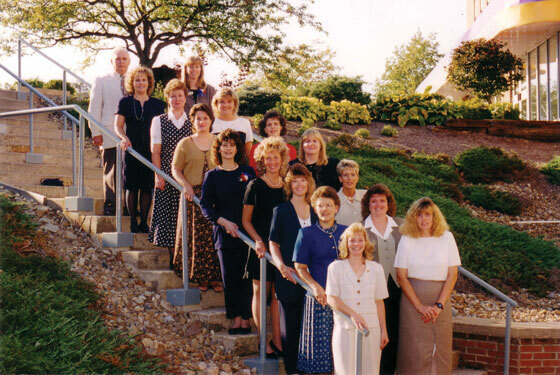 Back row; L-rt: Cathy Applegate, Tonya (McKinley) Fulk, Sondra (Applegate) Hayes, Brenda Allen, Susie Hardy, Teresa (Garber) Ebert, Pam (Hardy) Couch. Front: L-rt: Coach Tom LaFrance, Cheryl (Strine) Jacobs, Renee (Van Gilder) Warnes., Coach Pat Edwards, Kim (Kahl) Rogers, Chris (Austin) Nelson, Lisa Armstrong, Cathy (Cook) King.